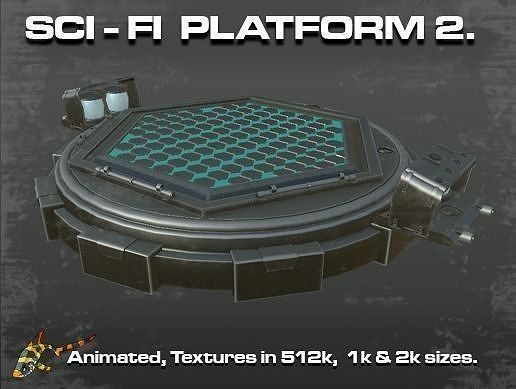 This Platform can be used as a launch pad for rockets and spaceships or transports ferrying various cargo to other locations. It can also be used in a games menu system as a display platform for characters on various choice screens. Platform has rotational animation added. Ambient Occlusion, Diffuse, emissive, Glossiness, Height, Normal and Specular.